Whether you are the sole-proprietor, or have a few partners or employees, you need a web presence. 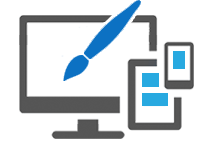 Let our skilled designer create a website based on your businesses needs and wants. Do you need to accept credit cards, or just have a simple site that allows people to learn about your business and contact you? Have a site already? We can update it. We can help you keep your current website updated and secure as well as help to keep your content fresh. Starting from the beginning? We can Help. Just give us your ideas and let’s design something that can really promote your business! Take the mobile test. Open your website on your smart phone or device. How does it look? 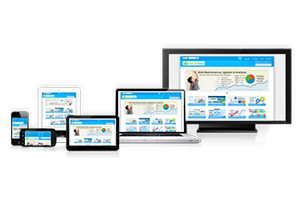 Your website should be fluid and take on a new look for different device sizes. Text should change size to be easily read on your mobile screen. Images should change to fit your mobile screen’s width. There should be no horizontal scrolling, only vertical. You should not have to enlarge parts of your site to be able to read it. 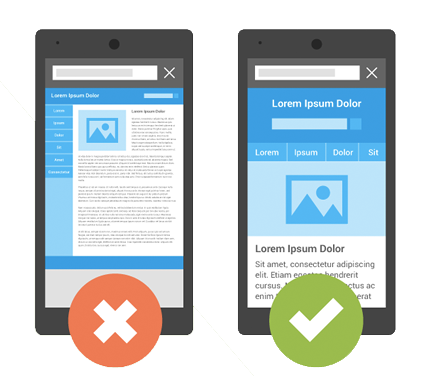 If your website does not pass the mobile test than you could be loosing many visitors. 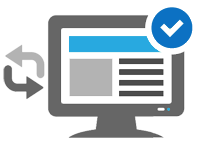 Contact us to discuss getting your site mobile ready. Email today is vital for a company large or small. More importantly, having a domain name of your own can really set you apart from the other guys that use a personal email address to conduct business. It can look more professional to match your email address to your website, instead of using yourname@aol.com. We can easily set you up with 1-1000 email accounts instantly, and help you register a domain name that suits your business. The best part is that we are flexible. 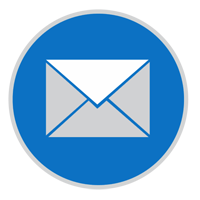 If you need 1 email account we can do it, and we provide the same comprehensive support to all of our of customers. Contact us for more info on any services you may need.